My days are complete with those many quiet moments with my cats. These creatures are relaxing, calming and therapeutic and I wanted to create a set of images that say those things that others can relate to, as I'm not the only person that craves the company of cats. 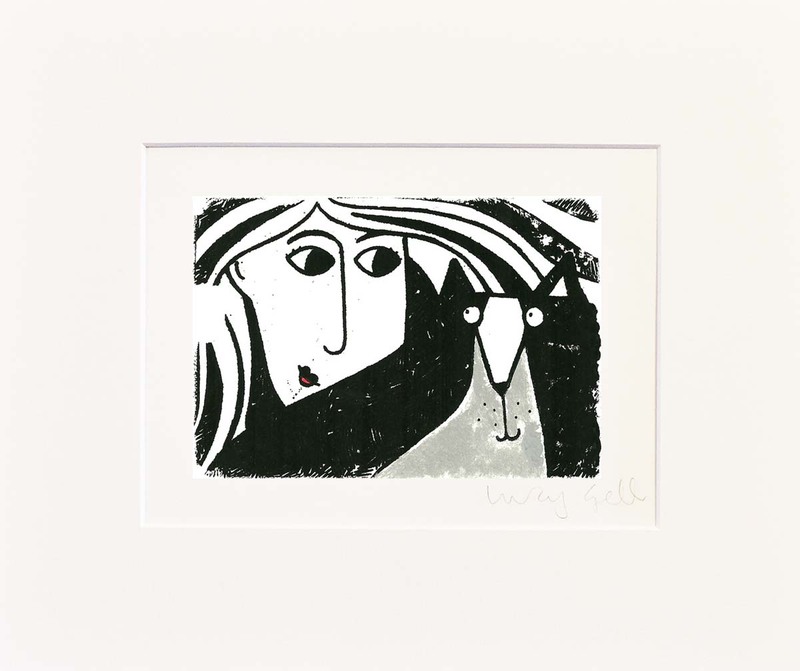 The images listed are my creative way of depicting the bond between woman and cats. 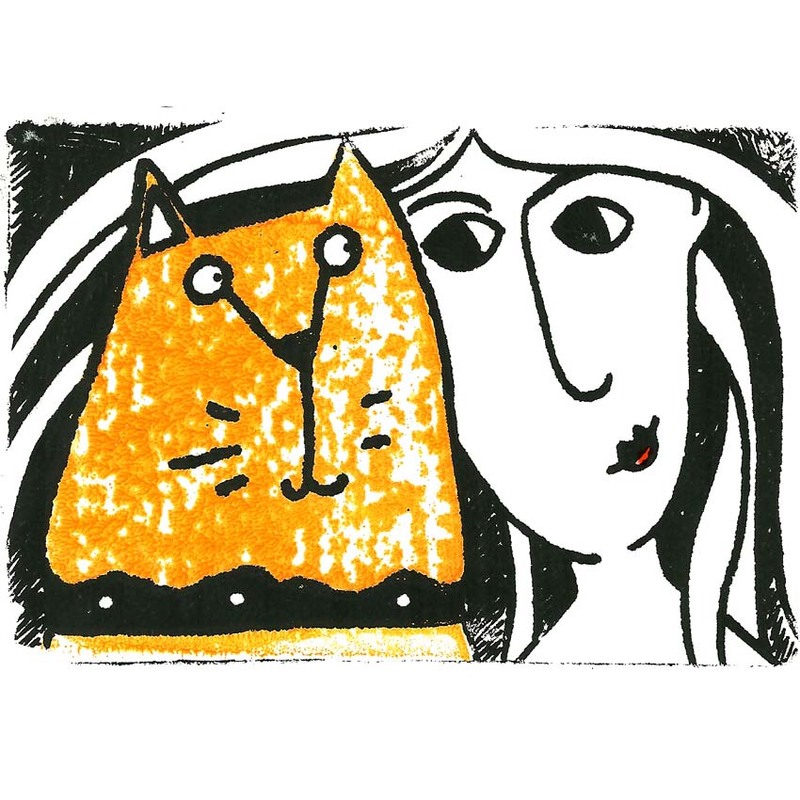 Every woman loves a large Tom Cat, and I created this gocco print for those ladies out there that have the same feelings as I do. 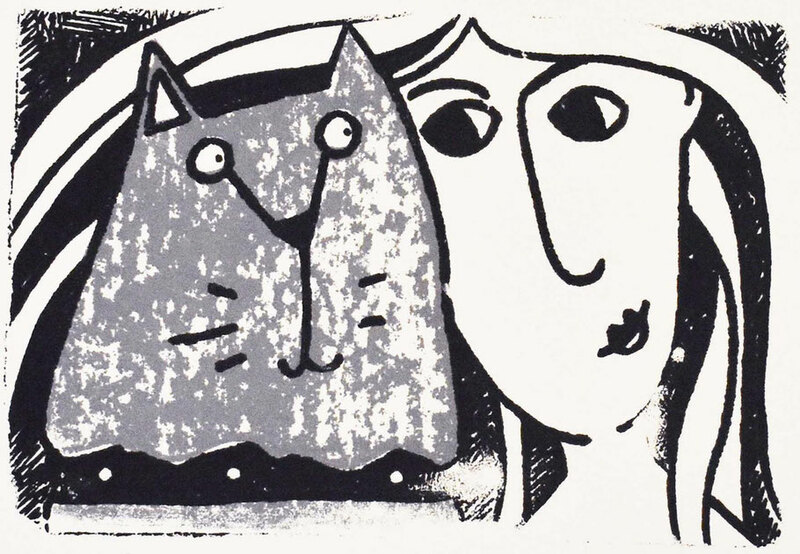 This image was influenced by my Tom Cat acid plate etching of my large black and white fluffy Tom Cat, Moby. Big in statue, big in personality. 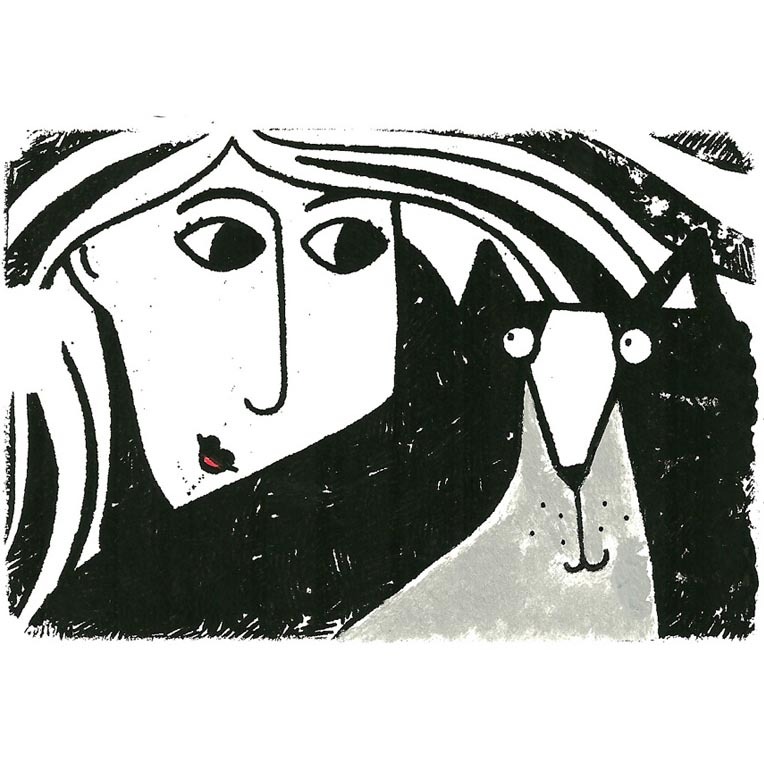 'Hello Mr Tom' Black and White Tom Cat Gocco print. The love of a Ginger cat from his Marmalady. 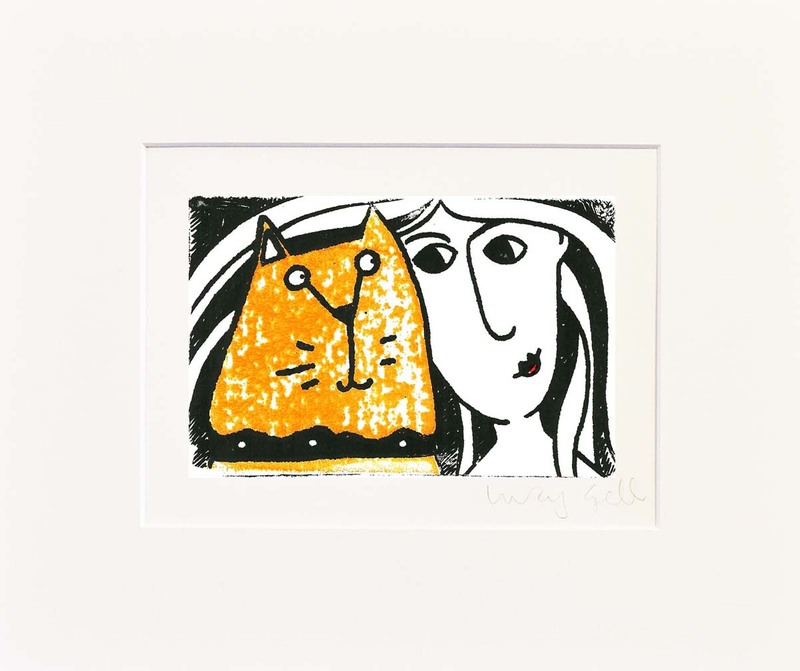 This popular image of a large loving Ginger Cat and his Marmadlady was created for all those women out there that are obsessed with their Ginger Cats. 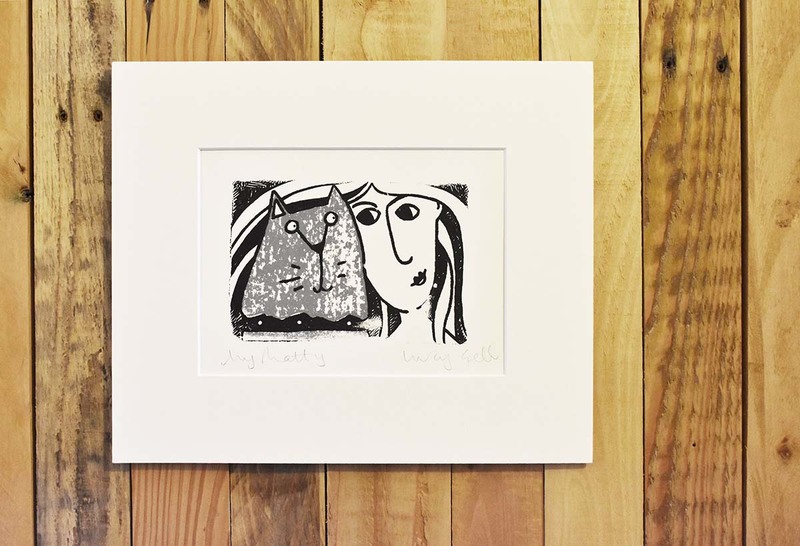 'Marmalady' Ginger Cat Gocco Print. 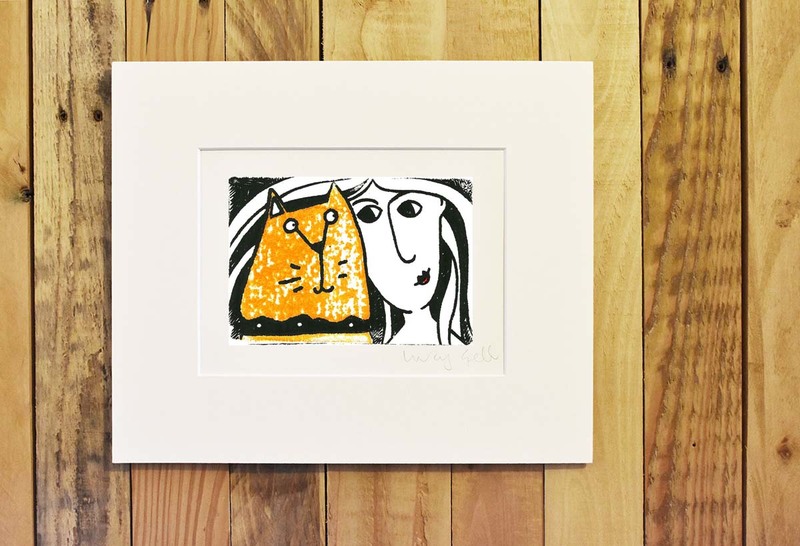 This gocco print has been inspired and created from my own cat Matty. 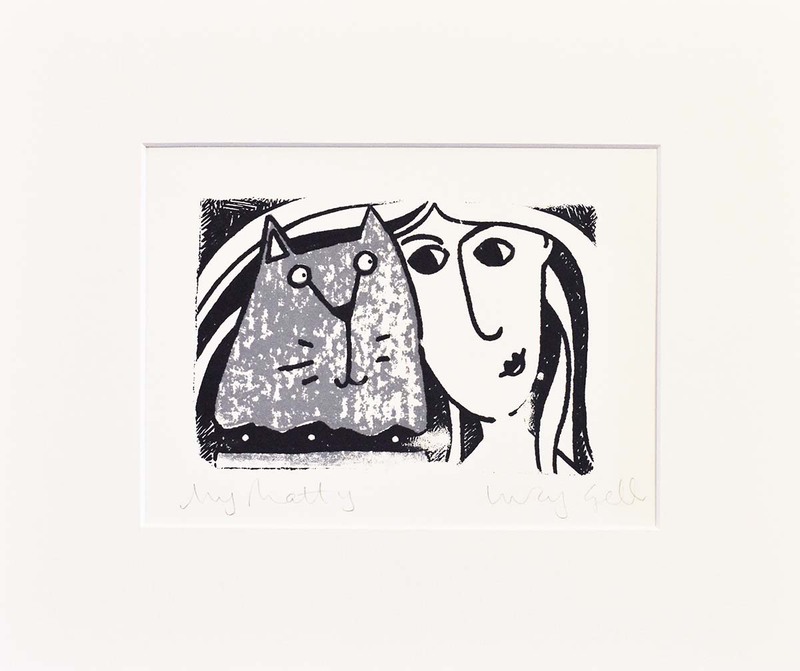 She is a beautiful large fluffy grey cats that loves nothing more than a cuddle from her Mummy. 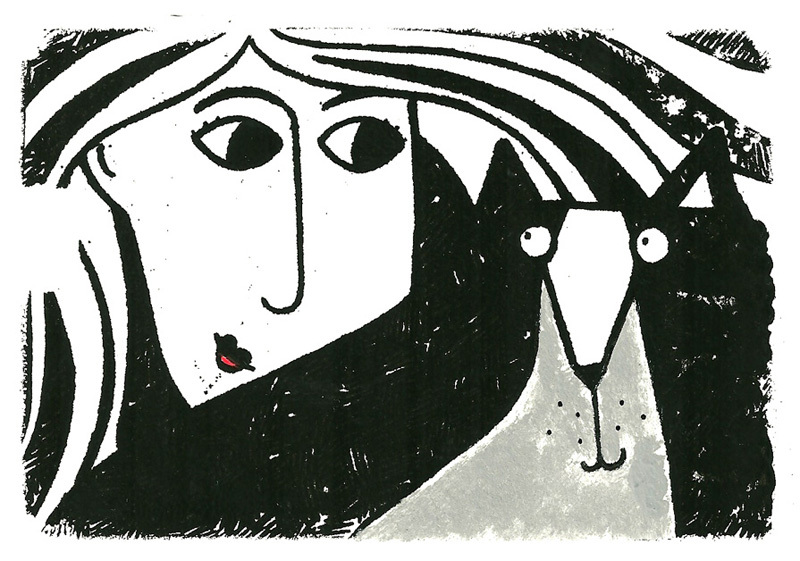 'My Matty' Grey Cat Gocco Print. 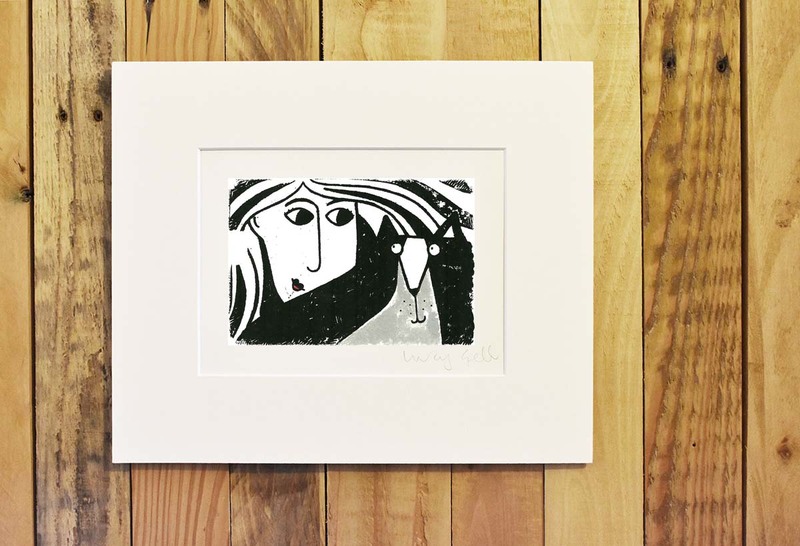 Images are unique due to the hand printing production method and come as signed limited editions making them a very special gift. Prints are carefully wrapped and posted flat not rolled to ensure they reach you in perfect condition and come with a certificate of authenticity. Click here for framing options.